Having spent a working life both on the perimeter, and closely involved with motor racing, I feel for my friend and former colleague, Brian Gush, the Bentley Motors director responsible for the motor racing program. 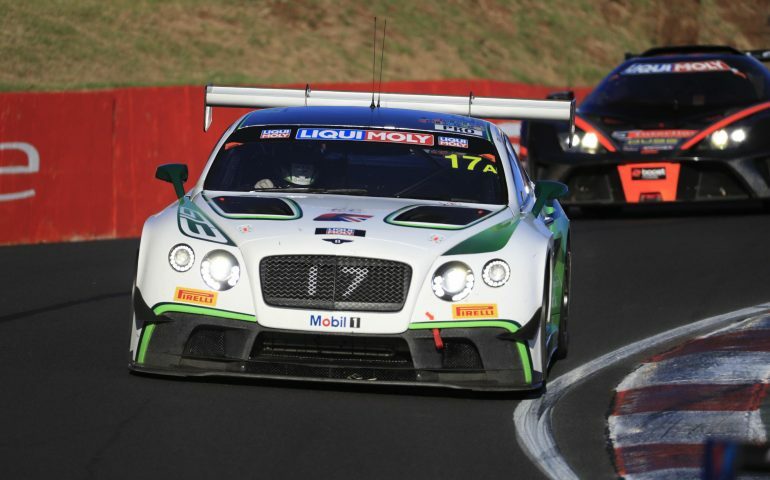 Yet again, the big Continental GT coupe powerhouses failed to add their names to the list of winners at the LiquiMoly Bathurst 12 Hour race this past weekend. The #18 car suffered a puncture and slid into the gravel trap at the end of Conrod Straight, and retired, and the #17 car was involved in a fracas at Forest Elbow, caused by local driver Chas Mostert's Schnitzer BMW, when he tried to force his way past a group of the leading cars. Brian Gush has talked about the development of a new car for 2019, so hopefully we'll see the Bentley Boys back next year, with hope for a tilt at the trophies. I have been thinking about attending next year's Bathurst 12 Hour as a talisman. I was present at Le Mans when Jaguar won in 1988; and again in 2003 when the Bentley Boys won. I have loved being around motor racing, but as you know it's full of surprises, and most of them not welcome.